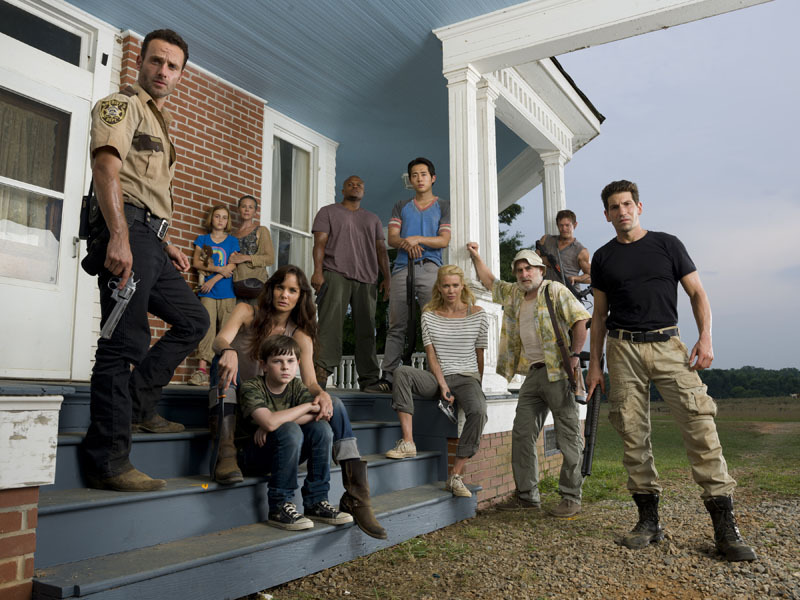 Ah, The Walking Dead, Season Two is coming to its conclusion, and a great season it has been. The show continues to demonstrate an entertaining portrayal of moral ambiguities, decision making dilemmas, group dynamics and grasping onto some humanity while trying to survive while the zombies make guest appearances. 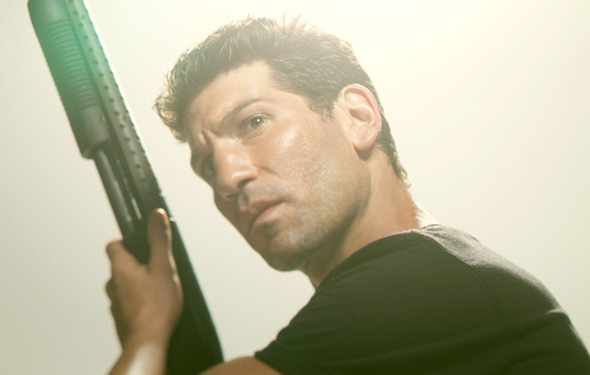 So sad that Shane is gone, but I gasped and fell in love with the series for its willingness to off a major character. Shane deserves an Emmy for his acting job. I know people who are just like him in real life, and Shane has all the hair scratches, head bobs, facial expressions, and tiny little movements and cadence of speech down perfect. If you pay close attention, there has been all sorts of metamorphoses: The Sheriff's hat that Rick used to put on to remind him that he was in charge in the past life so he needs to continue, is being transferred to his kid. Okay, that one's obvious. But then there's another noggin: Shane. remember the scene when Shane killed Otis just to get free, and then he shaved his head? 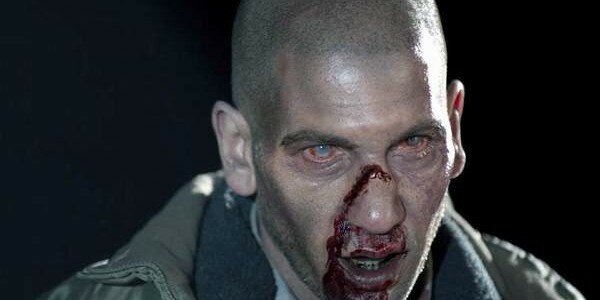 He has never been the same since, and in fact, when he was about to kill the prisoner and his face was all jacked up with bruises, he was already basically a zombie then; grunts included. I'm a good cop who will protect your wife and kids. I just killed an innocent man to help my mistress who I think I got pregnant. My mistress's husband killed me and now I'm a zombie. Then there's Darryl who is either in the farmhouse or out of the farmhouse, depending on how much buy-in he has for the group and if he's going to play savage or saint. Shane and Dale were polar opposites, (one had a shaved head, the other a dorky hat) but Darryl has it all wrapped up sweetly in his tormented backwoods heart. 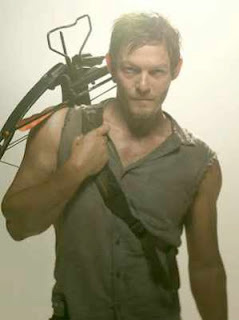 Maybe the most emotional, most caring, most able to turn it off in seconds and drill you with his primitive Bow and Arrow. Coolest cat in any holler you have ever been to. I kinda dig the whole idea of 'caretaking' and 'keeping family safe' as a testosterone laden thing in the series. When Shane tells Rick he's not a good dad, that he's not the best dad and can't keep his family safe, every dad can't help but feel their blood pressure rise and rage. 5,000 folks sign up, it could be a marathon, half marathon, but I think a ten miler would work best. Of all of these runners, there is one runner who is the infected. This runner is, of course, aching and suffering and hurting on the insides like any good zombie is, and it is their constant craving to catch someone to feed upon to alleviate this pain. They start somewhere in the race, and when they find a victim, they either bite them, or --another acceptable method would be to rip off the tag on the runners shirts given to them at the start. Much like a flag football, all the runners would have a secure flag or identifier that securely attaches but can easily be ripped off. Then, this next runner is also infected and it is now their role to catch other victims. The zombie infection would travel through the runnning field and the best way to escape it is probably to run as fast at you can to the finish. Prizes for those not infected as well as those who infect the most others. Sounds great? Like The Hunger Games flag football? I can see some serious zig-zag running and a big scrum breaking out, but if any race directors are out there, this idea is free for you to take, thanks for stopping in. I'm not saying they stole my idea, I'm just saying I thought of it second, unprompted by knowledge that it was already happening, so that's makes me pretty friggin cool. I AM THE BIGGEST FAN OF THE WALKING DEAD EVER IN TE WORLD!!! !